Today is 5th December .. .. .. the road leading to beach – Wallajah road is a sea of cutouts, flex banners and posters .. and this stands out for its appeal !! On that day 2 years ago, the much awaited (everyone claiming to know the truth earlier than others !) announcement came at midnight, confirming what most of Tamil Nadu had been speaking about — the chief minister Ms J Jayalalithaa, addressed and referred to by her epithet "Amma" since the turn of the millennium, had passed away. The oscillation on the status of her health and the mystery drama behind her illness continued to the end. On Sunday night, Apollo Hospitals began to tweet live updates, for the first time since she was admitted in the Intensive Care Unit on the night of September 22-23. On the day the hospital said Jayalalithaa would be going home, she had a cardiac arrest. It is 2 years since the passing away of former Tamil Nadu chief minister J Jayalalithaa – State would mourn and remember her death. Ms Jayalalithaa, the state’s longest-serving chief minister, failed to name a successor before her demise. This led to multiple people staking claim to her legacy, yet things appear to have settled now. Following Jayalalithaa’s death, it took nearly eight months for the warring factions of the party, led by Chief Minister Edapaddi K Palaniswami and his predecessor O Panneerselvam, to iron out their differences. After multiple rounds of talks, the two factions struck a deal under which EPS remained CM and OPS his deputy. They formally ousted Sasikala, who was serving as interim general secretary. Now the CM Mr Edappadi K Palaniswami is firm in handling many issues and looks another commoner, earning praise of some quarters too. Puratchi Thalaivi of Tamil Nadu - revolutionary leader - and the Amma of AIADMK, late chief minister Jayalalithaa Jayaram was laid to rest in Chennai's Marina Beach amidst a sea of humanity, now all the legal disputes too seemingly have been buried, more with the passing of another former CM, laid to rest closer on the Marina. Thus that part of Marina now has 4 former CMs interred. When she passed away, a marked characteristic of many of the obituaries were that they were mostly written by men about a powerful woman politician who has died in office, visibly at the peak of her political career. 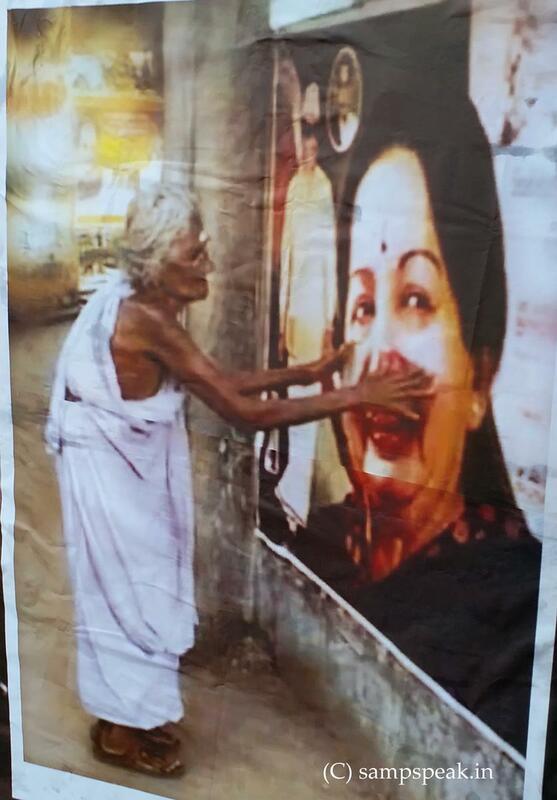 History may perhaps remember Jayalalithaa as the Amma of the welfare wagon. Her lasting legacy will no doubt include her pioneering initiative, the Amma Unavagam, or the Amma Canteen which continues to sell a plate of idlis at Rs 1. From its launch in 2013, the Amma Canteen has grown into a chain of low-cost eateries across the state. Its success had not only ensured electoral victory for the AIADMK supremo, but also got Chief Ministers from Delhi, Gujarat and Andhra Pradesh among others taking notes to replicate the Amma Unavagam in their respective states. 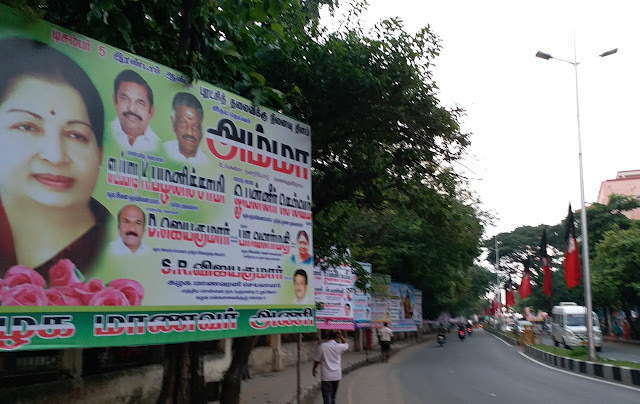 While Tamil Nadu has garnered the reputation of being the freebie state of India, thanks to the competitive politics between Jayalalithaa and her arch-rival M Karunanidhi, the vision for the “welfare scheme” lies with Congress’ last Chief Minister of Tamil Nadu, K Kamaraj. It was in the 1960s that Kamaraj introduced the mid-day meal scheme that has since been implemented in schools across the country. As the story goes, Kamaraj who was then the Chief Minister, was on a visit to Tirunelveli district, and came across a boy who was herding cattle. When he asked the boy why he was not in school, he reportedly asked the Chief Minister if he would give him food to if he went to school. And thus the mid-day meal scheme became public policy. While Kamaraj conceived the scheme, its scope was largely limited to rural primary schools. It was Chief Minister MG Ramachandran who propelled the mid-day meal scheme in 1982, expanding its base to cover all primary school children in the state, providing them one square meal a day. It became a benchmark scheme for the rest of the country. 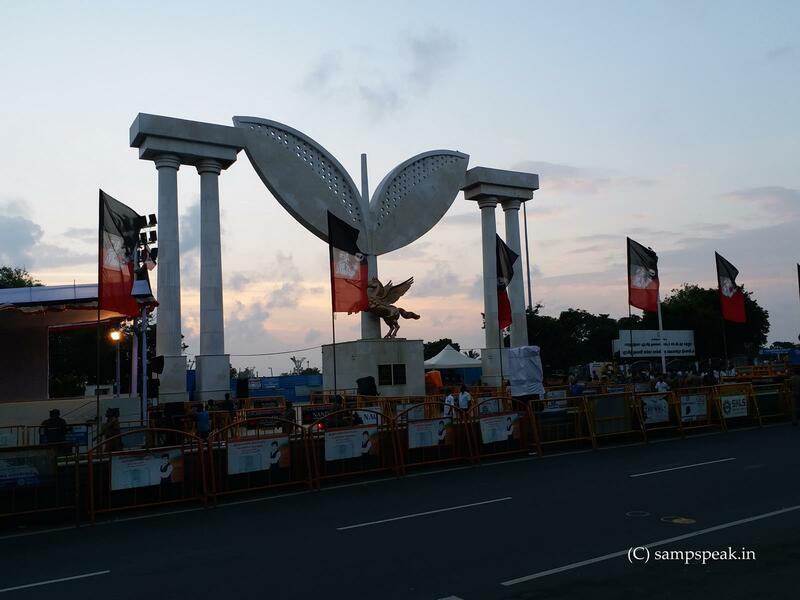 This populism, instituted by MGR, has since grown leaps and bounds in the Dravidian state. 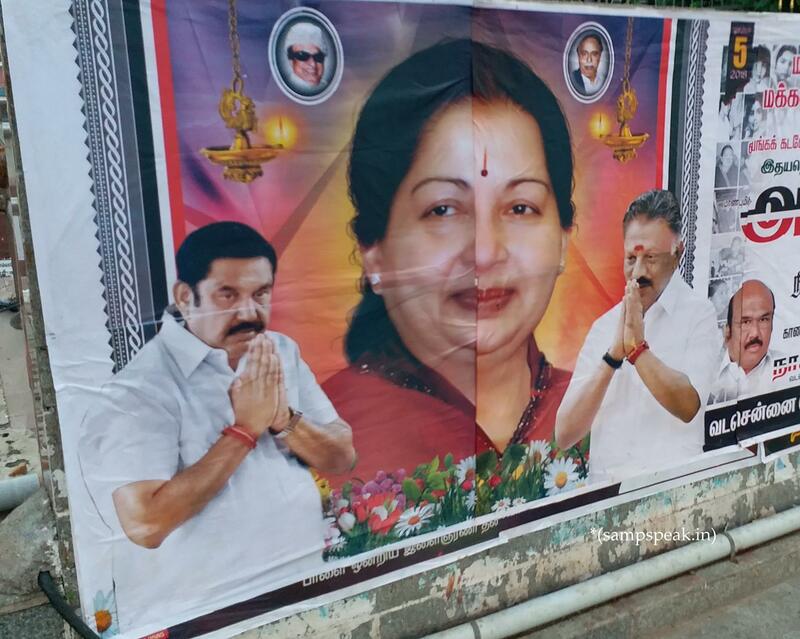 MGR was considered a darling of the masses and Jayalalithaa inherited it totally, which perhaps no other leader would become entitled in that manner. In September 2012, Jayalalithaa was in Delhi for a Cauvery River Authority (CRA) meeting. The then Karnataka chief minister, Jagadish Shettar, and water resources minister, Basavaraj Bommai, were present too. The mood in the room was frosty, with the two states at loggerheads as usual about the issue of water sharing. Bommai tried to break the ice and introduced himself to Jayalalithaa in Kannada.Soon, the two of them were chatting comfortably in Kannada but when it came to business, Jayalalithaa would not budge from her position although Bommai tried to convince her not to insist on the release of water. 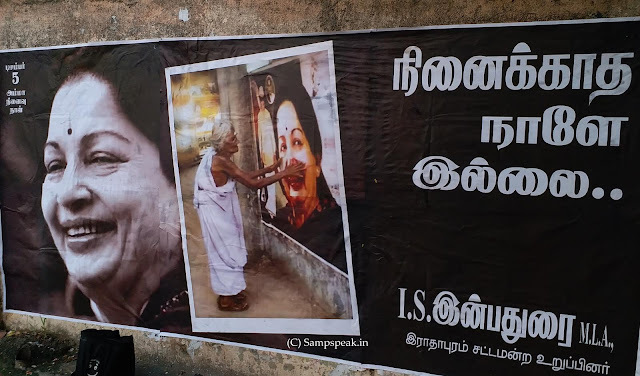 Despite her birthplace and love for the Kannada language, Jayalalithaa identified herself as a Tamil woman.